A pattern collection that gives you options for a full-top mitten in adult male and female sizes, plus fingerless mitts as an alternative. The pattern uses simple slip-stitch colour work and colour blocks. 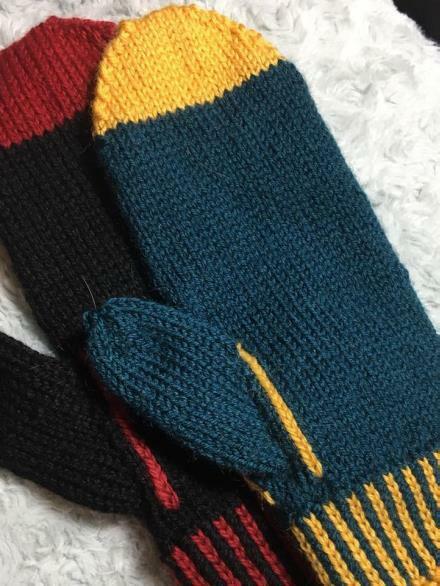 I knitted these on DPNs but you could also knit them Magic Loop. Note: you can also knit these Magic Loop or on 2 short circular needles.